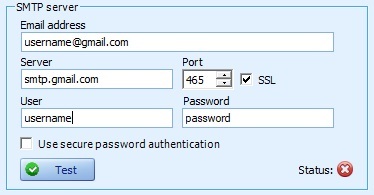 Enter outgoing mail server in the Server field. 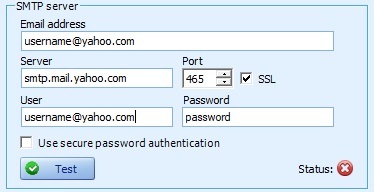 Enter your account username in the User field. 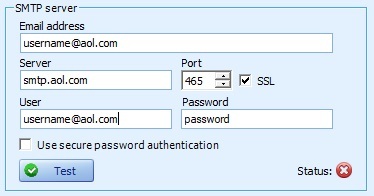 Enable SSL checkbox if the server requires a secure connection (SSL). Enable "Allow less secure apps". Go to "Sign-in & Security" -> "Apps with account access" -> "Allow less secure apps: ON". Enable "Allow apps that use less secure sing in". Go to "Account Security" -> "Allow apps that use less secure sign in: ON"
Enable "Allow apps that use less secure sign in". 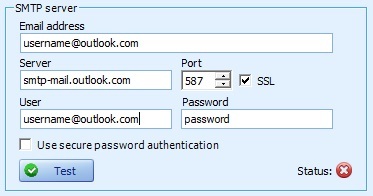 Go to "Account Security" -> "Allow apps that use less secure sign in: ON"